In this fast-moving world, things which were only dreamed of are now becoming a reality. The autonomous delivery system for delivering packages to last mile consumers will soon become reality. 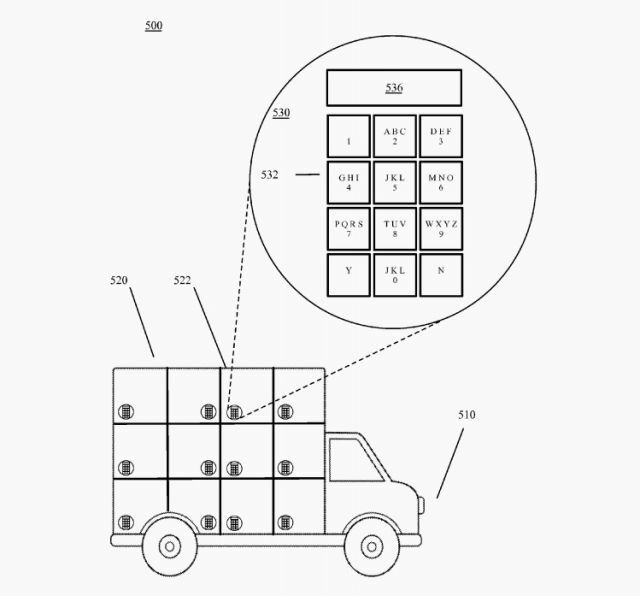 Tech giant Google got the patent for delivering packages autonomously to the end consumers. An article recently published in quartz has confirmed that tech giant has filed the patent for the technology. Google is working exclusively on autonomous cars. They are currently conducting experiments in the United States with this technology on actual roads in real traffic conditions. Surprisingly, the autonomous cars did not report a single accident so far. Google is working on its own prototype and with some other car manufacturers like Lexus & Toyota. However, Google has not stated how autonomous delivery truck will actually drive on the street. However, we can presume that the ongoing development in the technology of their self-driving car project will be utilized in this case. It is not yet clear how and when this autonomous delivery system will kick start and become reality. How autonomous delivery system works? 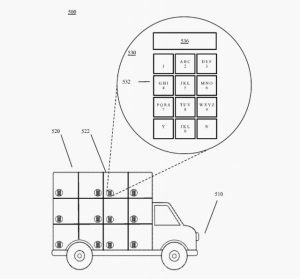 According to the images shown in the patent filing, it is clear that Google’s package delivery system or Google’s autonomous delivery system consists of a driver-less vehicle having multiple compartments. Each compartment has a unique unlock pin. Each locker contains goods ordered online by a specific consumer. The pin for every consumer will be sent to his/her Smartphone to unlock the compartment and remove the goods ordered. Google is already in the field of smartphones for controlling the car via android auto. This last mile vehicle in an autonomous delivery system consists of all types of sensors, cameras, radars and live feed of maps and traffic conditions. These systems involve a complex set of algorithms. When such autonomous delivery van is nearby, it will alert the specific consumer so that the consumer can go outside and pick up the ordered goods. He can then swipe the card for payment if any. Then the truck will move to its next destination or back to the warehouse to load the next goods which are ready for shipment. Autonomous delivery systems will definitely be supportive of large courier & eCommerce companies. Their fleet of trucks and small delivery vehicles is manageable easily with such a system. In today’s competitive world, such systems will speed up the delivery process and can make complex deliveries fast, easy and simple to operate. E-commerce companies are increasing exponentially and guaranteeing consumers to have their online ordered product delivered in specified time. Like Amazon's 'Prime Air' guarantees to deliver products in thirty minutes or less via drones. In fact, such a short delivery time will be the marketing gimmick in the future. Thus, autonomous delivery systems will add value to the product supply chain and would be beneficial to the end consumers also. With advances in robotics and automation, there will be no jobs for humans. Such systems will add value, but there is a huge drawback of unemployment. The debate on automation and unemployment is already heating up. Extensive automation also makes human being lethargic both physically and mentally. Thus, rational use of technology like robotics, automation, and artificial intelligence, is the only viable solution to the real world problem of extensive automation!